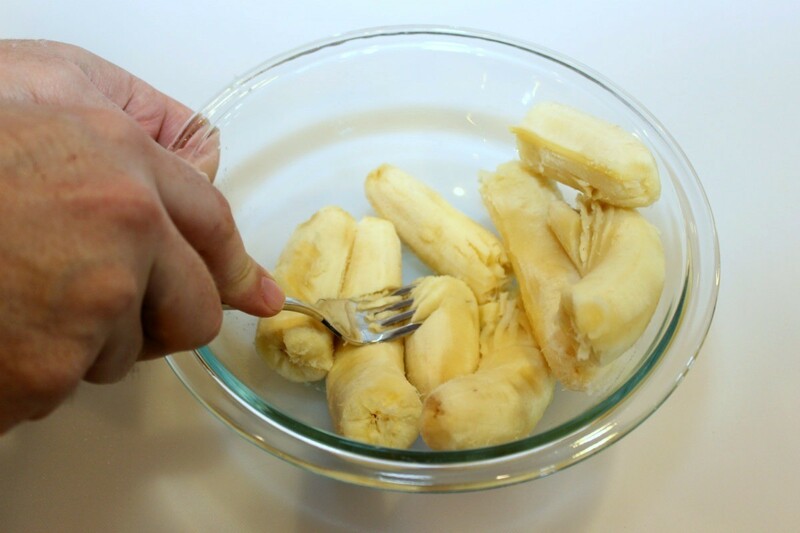 Peel the bananas and put them in a bowl. 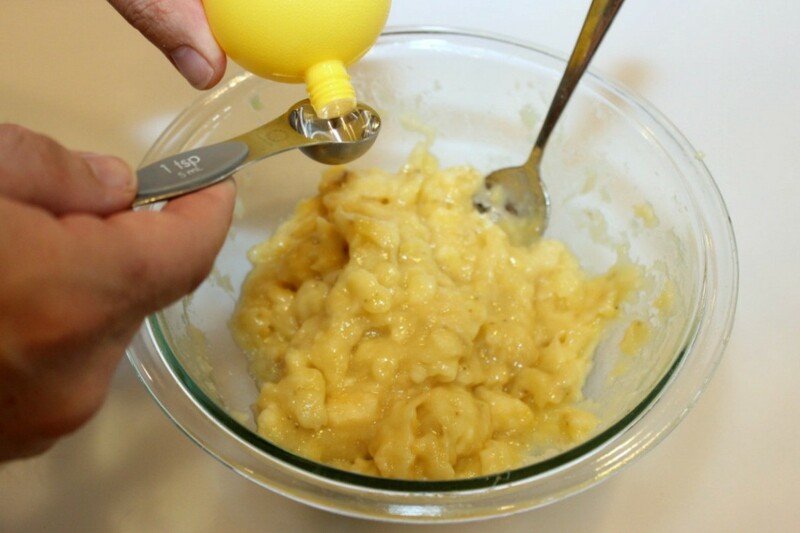 Using a fork, mash them up to the desired consistency. Add 1 tsp. of lemon juice per 1 cup of mashed banana. This will help keep them from turning brown. Place them into a freezer bag and don't forget to label them with the date. 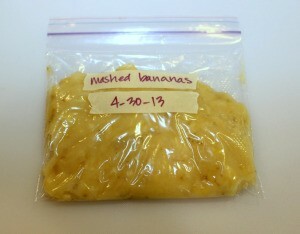 NOTE: Mashed banana is good for 3-4 months, if stored properly in the freezer. 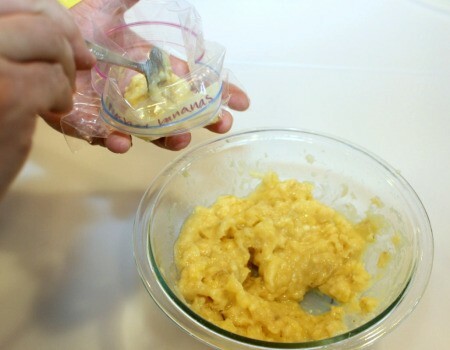 They're also excellent in fruit smoothies with fruit you've canned or frozen yourselft (rhubarb, apple sauce), with frozen fruit you've purchased or other things which have gone a bit soft and you've put in the freezer. The banana is so sweet no sugar is necessary.